We offer a full service event planning services from a baby’s first birthday party, bar mitzvah or wedding to a political fundraiser and product launches to craft and vendor events or fundraiser to graduation celebrations and employee/client services, and more. Be sure to check out our photos. TriState offers a beautifully designed elegant, classy, contemporary, modern, vintage, wedding option either in the venue you choose or with our recommendation. These can be small gatherings with a few friends and family or a larger gathering with friends, family, acquaintances, business clients, etc. Upon request, our optional services include but are not limited to, recommendation for caterers, disc jockeys, rental companies, wedding venues, and more. 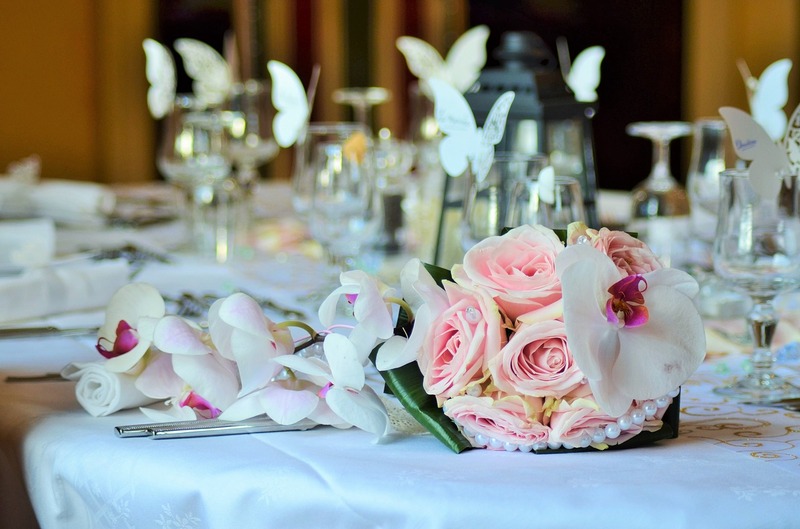 We partner with the bride and groom to ensure each of their wishes result in a dream wedding come true. All weddings may or may not include a reception, receptions are optional. Our ultimate goal is to create the most memorable day in the life of the bride and groom. No stress, leave it up to us from the moment he asks for your hand in marriage to the moment you utter the words “I Do!” We are there! TriState offers complete birthday packages from your baby’s 1 st birthday to your grandparent’s 100 th birthday. Whatever the age, TriState will plan a much memorable event for the birthday boy or girl. We also offer children’s fair-like games with prizes, characters, and concessions. TriState would like to be there to help you express your thanks to your staff on a job well done and motivate your employees by demonstrating your care and genuine appreciation to each of them by arranging an employee appreciation celebration. We can help you plan fair-like games where company sponsored products are your choice of prizes. TriState offers concessions with a partner company consisting of fair-like snack items such as cotton candy, candy apples, popcorn, and more. An employee appreciation full of fun, good times and stories with fellow coworkers encompassing games, characters, concessions, potential catering of a box lunch and so much more is sure to express to your employees just how much you appreciate his or her hard work and dedication to your business. TriState would like to be the one you choose to help you express your gratitude to your clients and customers on choosing your organization to supply their products or services. By hosting a Customer/Client Appreciation Celebration you are indeed demonstrating your genuine appreciation to each of them. We can help you plan fair-like games where company sponsored products are your choice of prizes. TriState offers concessions with a partner company consisting of fair-like snack items such as cotton candy, candy apples, popcorn, and more. A family- friendly customer appreciation celebration will be full of fun, good times and stories with fellow clients and customers equipped with, characters, concessions, potential catering of a box lunch and so much more is sure to express to your clients and customers just how much you appreciate their loyalty to your business. Allow TriState to help you express your eternal love for your significant other by hosting an anniversary celebration. Invite friends and family for a smaller quaint evening or invite friends, family, neighbors, church members, and/or other acquaintances to make it an even larger affair. TriState partners with local physician groups to offer employee health fairs consisting of blood pressure checks, cholesterol checks, glucose checks, nutritional education and information, health care education and information (based on those offered through your organization), as well as medical conditions education and information. Much more may be added upon request. Allow TriState to plan, organize, and execute your next fundraiser by letting us host a Craft & Vendor Show Fundraiser. Crafters, Direct Sellers, local businesses and local service organizations come together by the dozens to share in your event. Most events encompass up to 40 to 60 vendors; however, we do have venues available that hold more. Food vendors are also available as well as concession vendors. TriState will also host a 50/50 raffle as well as a Chinese Auction Gift Basket Raffle to help raise even more funds for your “cause”. If you have a “cause” close to your heart that you would like to raise funds for don’t hesitate to give us a call to host your next fundraising event. Allow TriState to host a 50/50 drawing or a Chinese Auction Gift Basket Raffle at your next fundraiser to help you raise the additional funds for your organization or “cause”. Calendars, recipe books, popcorn, cookies, and candy fundraisers are also available. Allow TriState to plan, organize, and execute your graduation celebration whether that is a high school, technical, undergrad, or graduate degree or diploma. You provide the guest list, we send the invites and WE bring the FUN! For all events our full services packages include partnering with the client to discuss his or her desires regarding number of guests, initial budget constraints, catering choices, venue choices, set up and staging of the event as well as final clean up needs. TriState will take care of the entire planning process from beginning to end. We also specialize in surprise celebrations as well.